Our range of tall radiators and tall towel rails have been handpicked for their space-saving properties, unique designs and high performance. As the value of floor space in modern homes increases, we at Just Radiators believe that it’s important to meet demands by providing stylish radiator options to create warm and cosy rooms. With their tall and lean design, these radiators have the potential to become a focal point in any room, or to fit in with the background, whatever you want. Our range features unique designs from premium brands and have a selection of tall, vertical radiators that transform a practical room feature into a decorative piece. 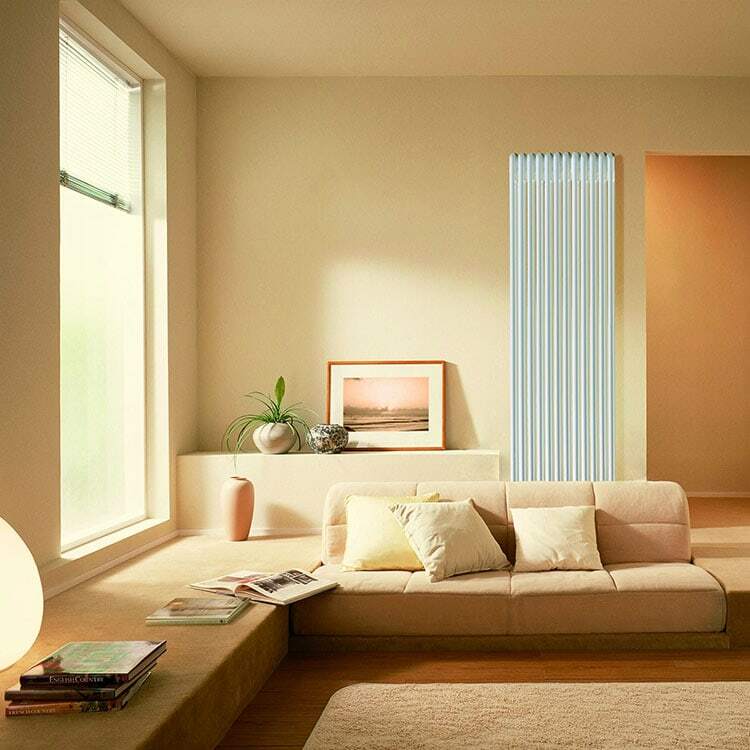 Perfect for rooms with limited wall space too, vertical radiators make a great addition to hallways, living room and bedrooms. Their availability in a range of designs, such as a mirrored flat surface radiator or a curved column radiator, means that you have the freedom to choose the statement you’d like to make in your room. Browse our range of vertical radiators today. If you have any queries, please contact us via our online enquiry form or give us a call on 01772 803725. Copyright © 2017 Just Radiator, Inc. All rights reserved.